A clear plan is critical for getting the most out of your marketing efforts, but your plan doesn’t have to be complex to be effective. Master the most important elements and you’ll have a powerful marketing plan that’s easy to follow. Business identity – You business identity includes you firm’s mission and vision statements, and outlines what makes your firm distinct in terms of services, capabilities, and values. It should also define your target audience and the experience you want to give them. Are you a residential construction company specializing in highly customized homes for eco-conscious young families or one focusing on aging-in-place remodeling for active older adults? SWOT analysis – Conduct a SWOT analysis to get a better idea of how your business is situated in the market. Determine your firm’s greatest strengths in terms of attracting clients and note what weaknesses could lead you in the wrong direction. Describe the business opportunities in your market and how the market might threaten your current business model. Marketing strategy – A marketing strategy is a process that helps you reliably meet your sales objectives. Guided by your SWOT analysis, it gives you an overarching vision of how to reach your audience, connect with them, and turn them into paying clients. This can include multiple methods. If one of your strengths is a list of clients who rave to their friends about how much your renovations have improved their lives, referral marketing is a good bet. If your projects are visually striking, you’ll want to use social media, too. Then choose specific tactics. As a tactic to encourage referrals, you might define specific times to ask for referrals, create referral forms, and offer a referral fee. Metrics – Specify how you’re going to measure the success of your tactics. Go beyond tracking leads and sales revenue, and pay attention to equally important metrics such as percentage of clients by referral, percentage of leads converted, client acquisition costs, and your close rate on bids. 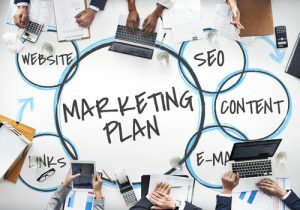 I super agree with all the elements you have included here for a strong marketing plan. This works for all businesses. Thank you for sharing this! Looks nice for the training we will do next week. Previous Previous post: What Does On-Page SEO Mean Anyway?